Migraines affect over 1 billion people worldwide. The most significant characteristic of a migraine is a severe and debilitating pain in the head, but migraine headaches are more than just a bad headache. They are a neurological disorder and considered to be the most common disorder of the nervous system. In a recent study published in the American Society for Microbiology, researchers found people who suffer from migraines have a higher growth of oral bacteria that reduces nitrates into nitrites. Your body then converts the nitrites into nitric oxide. In separate research, scientists linked an increased amount of nitric oxide with a higher potential for suffering from migraines. Further research investigating the use of drugs to reduce the amount of nitric oxide production to alleviate headaches was successful with headache reduction, but had significant cardiovascular safety concerns. While the researchers have found a link, whether the change in bacterial growth is the result of migraines, or is the cause of the migraines, is a topic for further research. Hormones – Reduction in estrogen may increase your vulnerability to the negative effects of stress, lack of sleep and food choices, thereby increasing your risk of migraines. Vitamin Deficiency – Research from Cincinnati Children’s Medical Center discovered a link between migraine headaches and below average levels of coenzyme Q10 (CoQ10) and riboflavin. 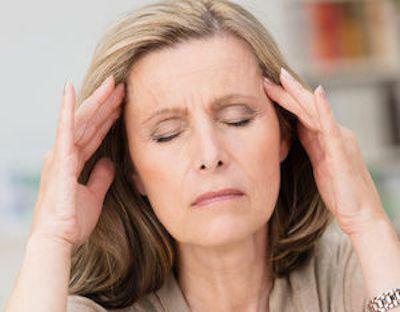 Magnesium Deficiency – Migraine sufferers may develop magnesium deficiency from a variety of reasons, including poor absorption, renal wasting, and increased excretion due to stress or low nutritional intake.